If you don’t have to go outside, consider yourself lucky. Rio Grande commuters Tuesday morning faced constant drizzle on roadways during the morning drive to work. Don’t expect much to change by 5 p.m. 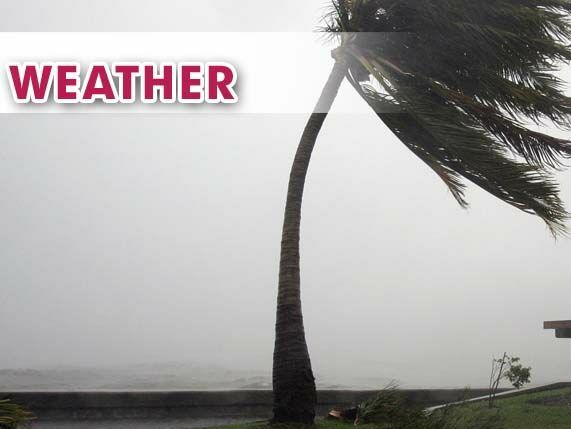 According to the National Weather Service Brownsville/Rio Grande Valley, this rainy weather should continue to softly fall all day, keeping windshield wipers busy and highways slippery and wet. On Facebook, the meteorologists who dutifully track Valley weather said the drizzle and light rain showers will continue across deep South Texas with rainfall amounts ranging from a trace to a few hundredths of an inch. That precipitation can reduce visibility between one and five miles. The NWS Brownsville/Rio Grande Valley is advising motorists to use caution on wet and slippery roads. The good news, however, is that NWS Brownsville/Rio Grande Valley forecasts a rise in temperatures with 80-degree weather and partly cloudy skies with breezy winds across the region Thursday and Friday. But it won’t last long. A weak cold front is expected to stall over the Rio Grande Valley over the weekend, bringing gray weather and cooler temperatures and a possibility of drizzle and light rain.